The Northern Stakeholders Forum (NSF), a socio-political group, says it has withdrawn its support for President Muhammadu Buhari and endorsed Atiku Abubakar of the Peoples Democratic Party (PDP). 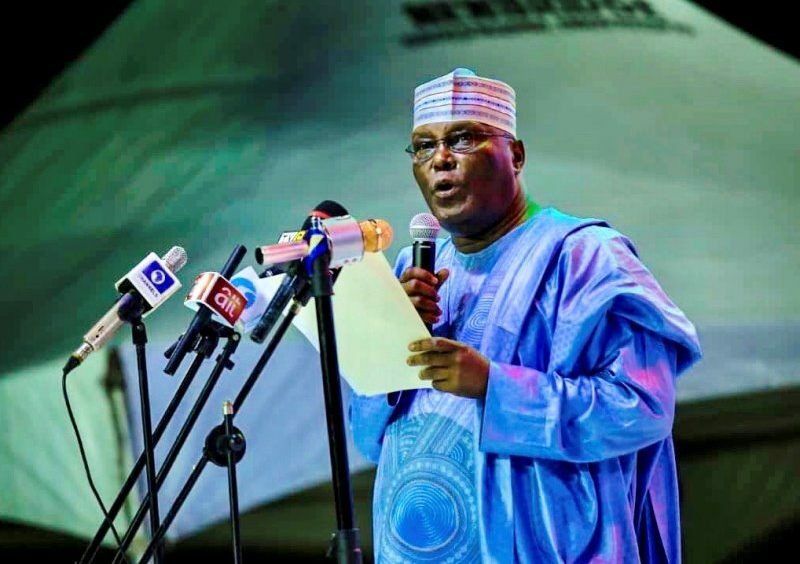 Speaking at a zonal town hall meeting in Kano state, Aminu Adam, NSF’s director of action and mobilisation, said the group opted for Atiku because Buhari disappointed Nigerians. According to him, the group supported Buhari in 2015 when there was so much yearning and agitations for credible leader who would move northern Nigeria forward. Adam said the group later realised that the president has failed to fulfill his campaign promises, especially in the area of fighting corruption, economy and security. “In 2015, we fully supported Buhari because we believed he was the only person to move northern Nigeria forward. This is because we see that north is lagging behind in terms of development in Nigeria. Ironically, when Buhari came to power, we realised that he even prefer south to the north that gave him unprecedented votes. Buhari has failed to fulfil his campaign promises, especially in the area of economy, corruption fight and security.” Adam said.